Vaido (Võrumaa, Estonia) on 22 August 2017 in Landscape & Rural and Portfolio. Fantastic image! I love the dramatic sky! wow ! This is simply fabulous !!!!!! Bravo !!! Stunning capture, but who goes swimming in the dark in the middle of a storm??? @Curly: Luckily storm stayed at sea and didn't approach, so we had just a beautiful view of the power of nature. Spectacular image! Congratulations on your Spotlight - well deserved. G O R G E O U S. Bravo. Masterpiece. And so surreal and cinematic. Very dramatic - Congratulations on the Spotlight ! 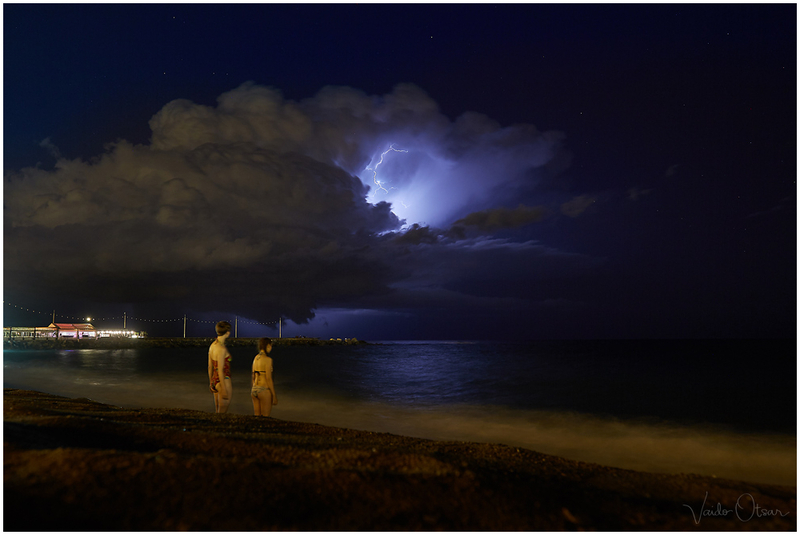 Perfect timing for the electrical storm and your beautiful capture of these fearless bathers. Marvelous photograph - Congratulations.